Whether your special occasion calls for cocktails, crab cakes or chicken fingers ... a live band ... your favorite playlist, we can make it happen. 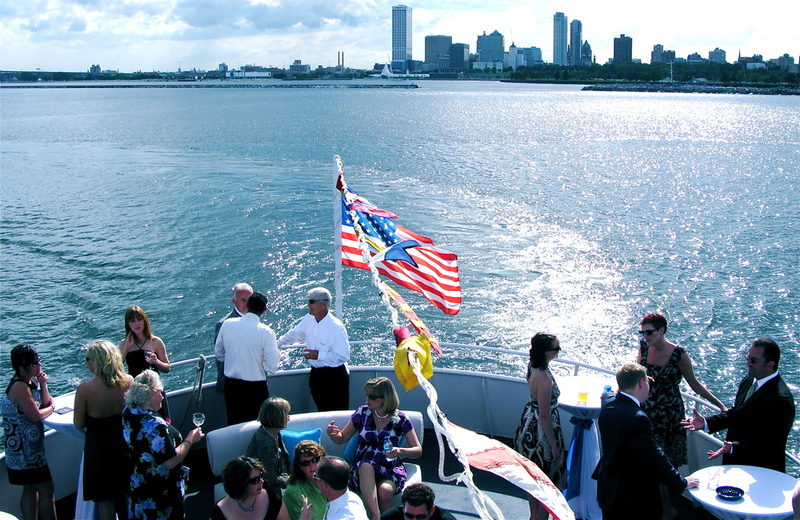 Our Vessels offer a full-service bar, professionally integrated sound systems ... plus that unforgettable view of Milwaukee’s skyline. Private charters require a two hour minimum rental. You may elect to shorten cruise time and/or spend a portion of the time dockside. We begin boarding at least 15 minutes before the start of your charter. Rates are the same for both VOYAGEUR & VISTA KING. Please note prices exclude sales tax. We are proud to partner with Saz’s Hospitality for food service aboard our vessels. For sample menus, custom menus, and to order please contact one of Saz’s catering representatives, Joe Brueggemann or Matt Hawkins at 414.256.8765 or visit sazs.com. 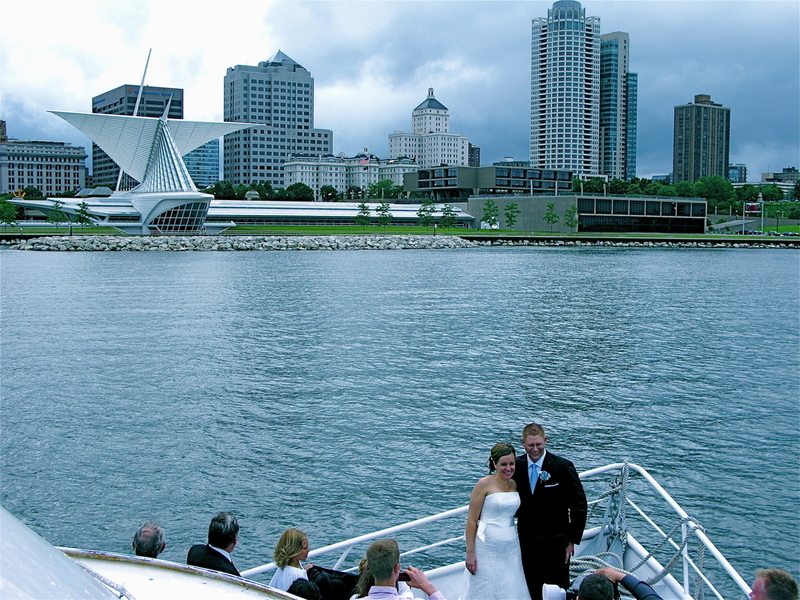 Saz’s has provided a diverse client base with full-service catering and event planning since 1988. With limitless creativity and unmatched versatility, the staff at Saz’s Catering brings fresh insight into the development of each menu, carrying its support through each detail in the planning process and extending that pride into the successful execution of each and every event. A $2.99 per person catering surcharge is applied when working with Saz’s Hospitality. You are welcome to coordinate with an outside caterer of your choice for a catering surcharge of $5.99 per person. Prices exclude sales tax. Cash Bar. By default we staff a cash bar at no additional cost. Hosted Bar Packages. In addition to a cash bar, we offer a variety of beverage packages to suit the needs of any group. In addition to the options listed below, customized packages including premium and craft beers are available. You may combine the Seaman’s Package (non-alcoholic) with any of the other packages. Guests must be at least 21 years of age and provide a valid ID to consume alcoholic beverages. Prices exclude 20% gratuity and sales tax. Our vessels are equipped with professionally integrated sound systems capable of connecting to your media player, or we'll provide easy listening background music. From Jazz to R&B to Rock, we've hosted it all. We are happy to refer preferred local artists and, we will coordinate directly with the entertainer to ensure that your event is hassle & stress free. For an added $50 per hour, one of our knowledgeable guides will provide narration, colorful anecdotes, and answers to questions your group might have.